Characterized by attractive pattern, colorful look, and vintage vibe, the Moroccan decoration is always one of the best options which is worth to pick. Lots of home experts will definitely recommend this kind of decorating style when you want to have a festively catchy home. 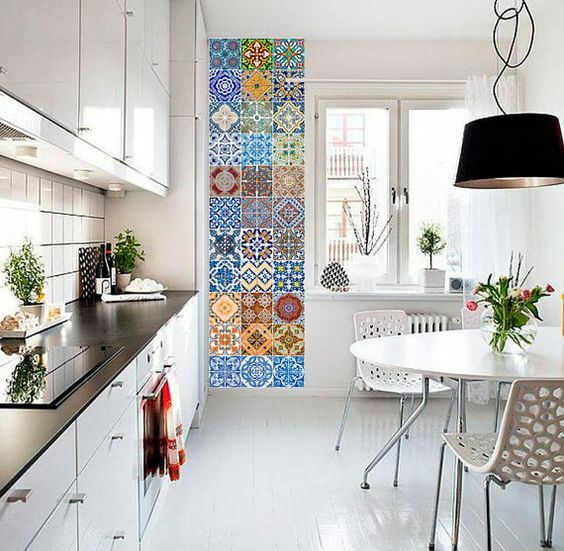 Mostly, tile holds a very important role in creating a Moroccan decor which can be applied to wall and flooring. The Moroccan tile is usually the main element which will give a Moroccan look itself inside a room’s decoration. For that, the kitchen is surely the great place to bring the Moroccan look to your beloved home. 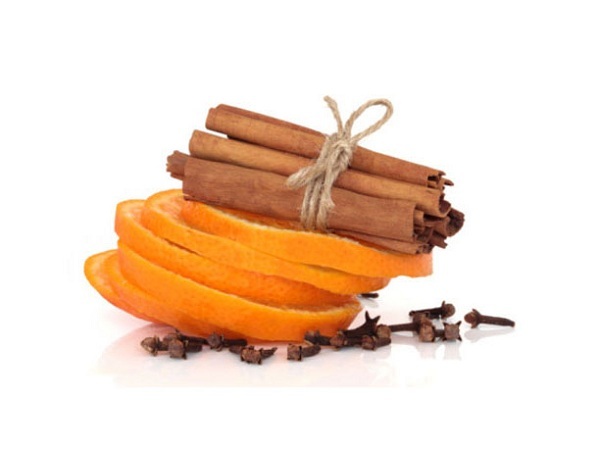 You can explore with lots of elements in the Kitchen to create a catchy Moroccan decor. 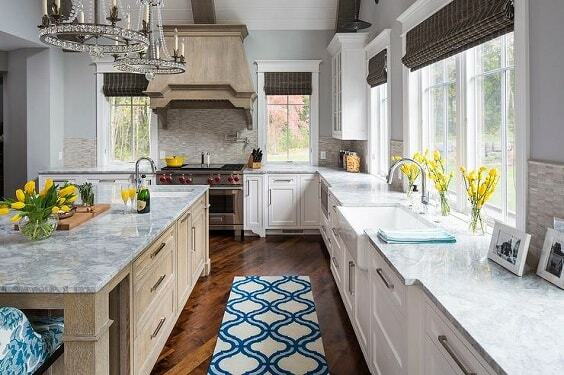 So here, we have picked the best Moroccan kitchen ideas which are designed by home designers. They are so worth to be your ultimate reference when you want to have a Morrocan decor. 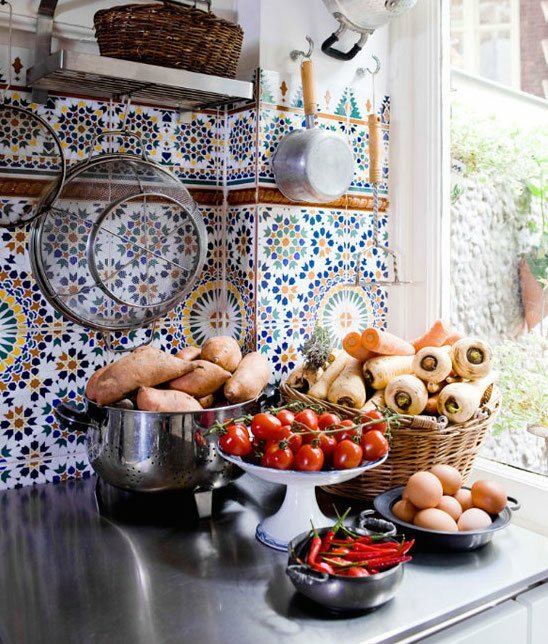 Well, let’s just keep scrolling to check out our best picks of Morrocan kitchen inspirations! 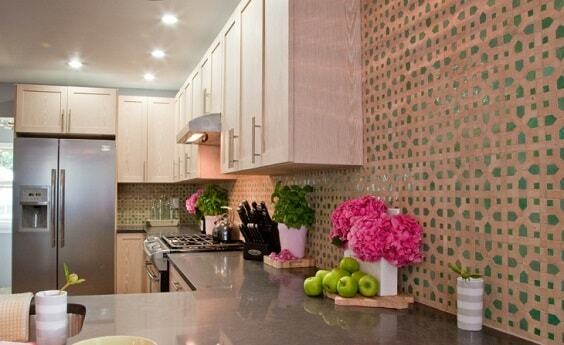 A beautiful Moroccan kitchen with the gold and emerald geometric tile which covers the entire backsplash. 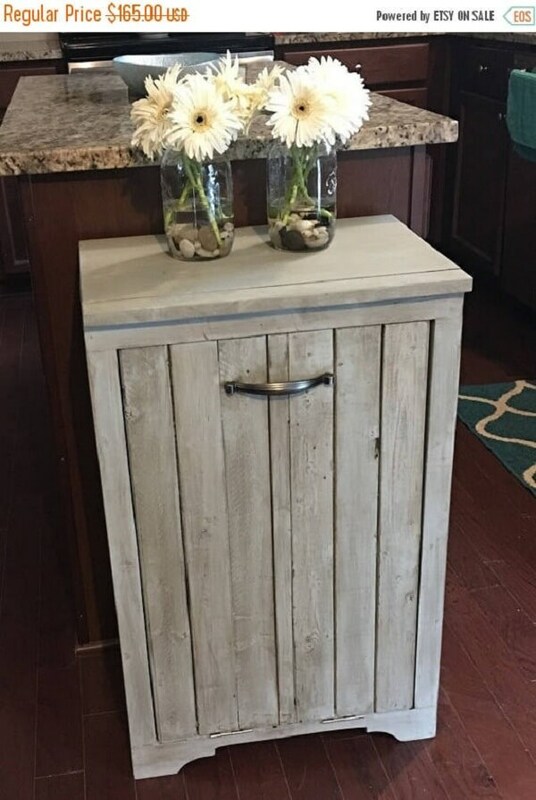 The cabinet in raw rustic look and glossy grey countertop then neutralize the overall look of the area cleverly. The kitchen is designed by The Cousins via Design Trends which is perfect for you who want a Moroccan kitchen with a soft nuance. 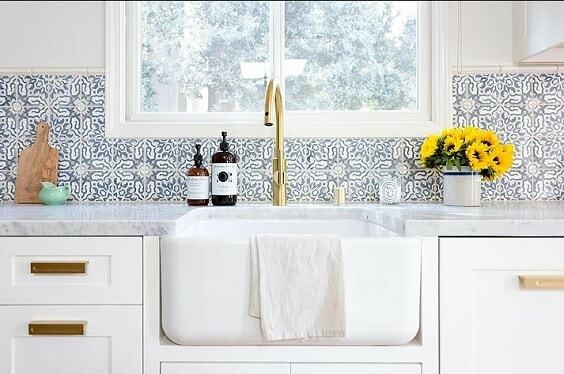 Here, the blue geometric tile is used to decorate the backsplash of a sink area which gorgeously styles up a kitchen with the white overall look. Grey marble countertop and vintage basin match well with the tile. Then, the gold faucet and hardware look strikingly attractive among those neutral elements in this inspiring Morrocan kitchen designed by Jennifer Muirhead Interiors. 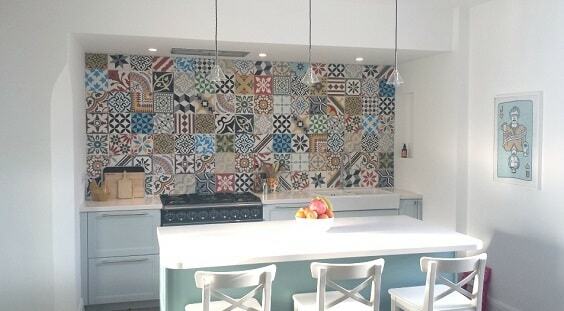 This kitchen is spotted in East Lake via Encaustic Tiles which looks so attractive with its patchwork backsplash. 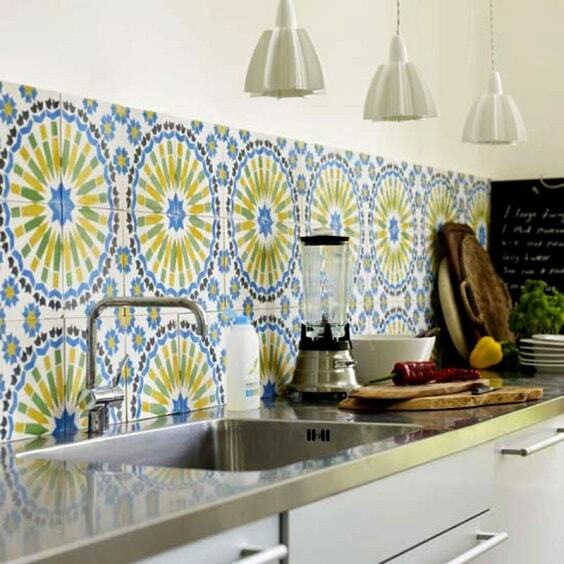 The patterns of the tile add an exhilarating Morrocan vibe which makes an all-white kitchen look so festive. A decorative backsplash with colorful Moroccan pattern is paired with the stainless steel countertop which creates an attractive look. It’s such a nice combination of traditional and modern style in one decor. A stylish Moroccan kitchen with the monochrome decor for you who love something simple. 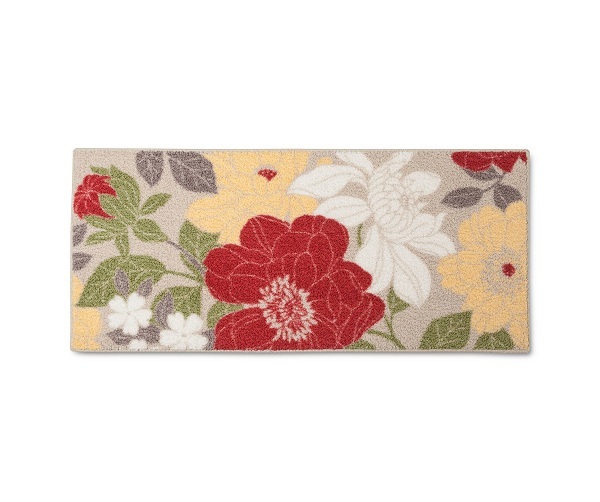 The decorative floral BW backsplash adds a festive touch while still keeps the calmness of the room perfectly. 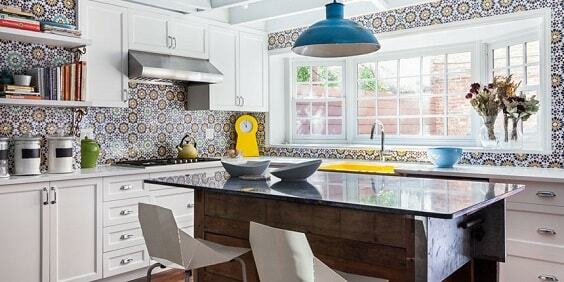 COlorful flora tile covers the lots of area in this Moroccan kitchen which creates a very cheerful atmosphere, especially with its yellow and blue look. 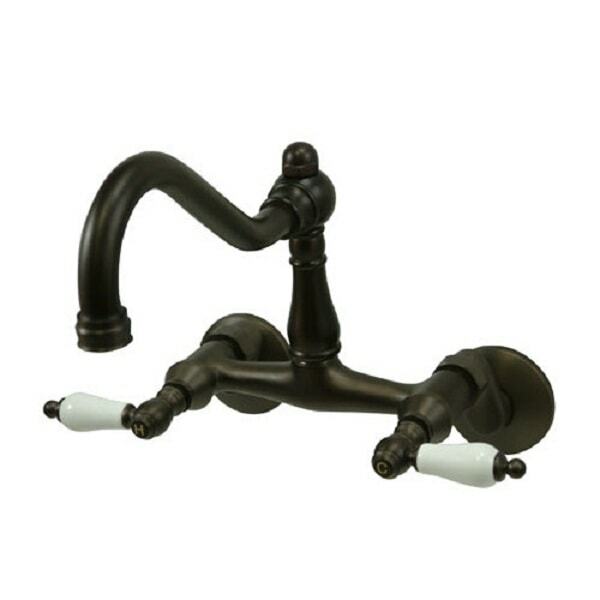 Then some decor items in similar colors stylishly complement the tile. A huge black cabinet gives a boldly elegant overall look while the geometric tile in red and green look colorize it attractively. 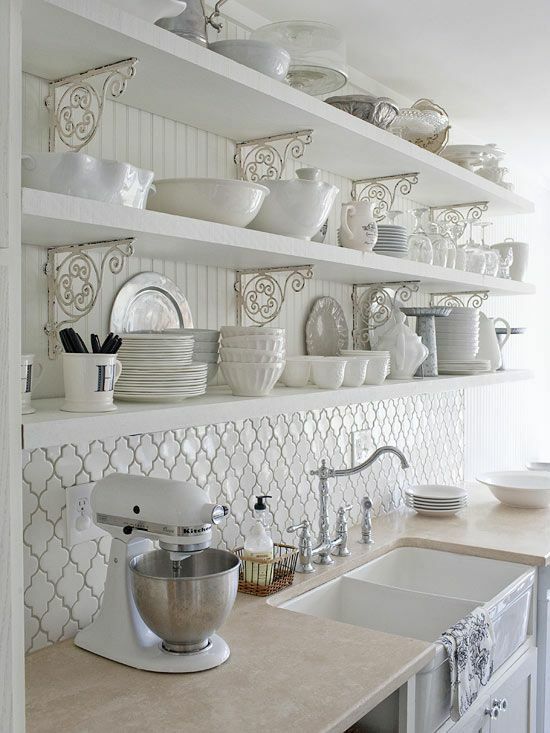 With such tile, the backsplash looks distinctively attractive inside a kitchen with the neutral and modern design. Sometimes a single element can give a huge influence in a room’s decor, like this Moroccan rug in a white and wood kitchen designed by Nate Berkus Design via Decor Pad. The rug comes in blue look which also adds a contrasting touch here. The decorative green and white backsplash complements the green kitchen cabinets which look soothingly beautiful this Moroccan kitchen designed by Laura U via Design Trends. 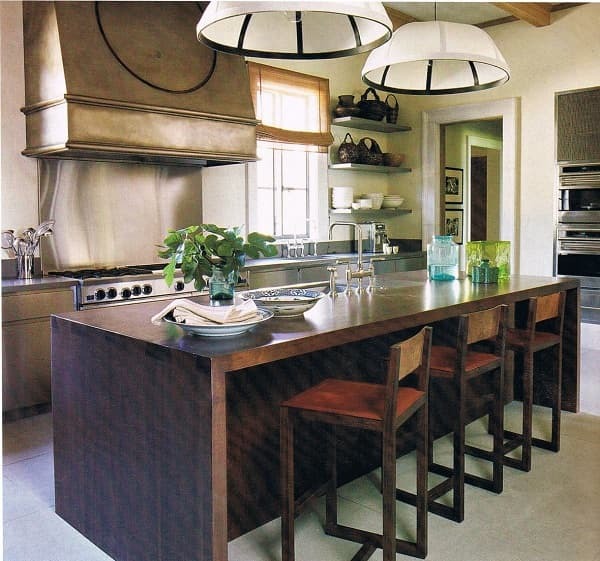 Then, the rustic marble flooring and wood island create a natural nuance alongside those tiles. The pattern and color of the backsplash in this kitchen are combined with the wood countertop which makes it look wonderfully earthy. An indoor plant also completes the decor very well. 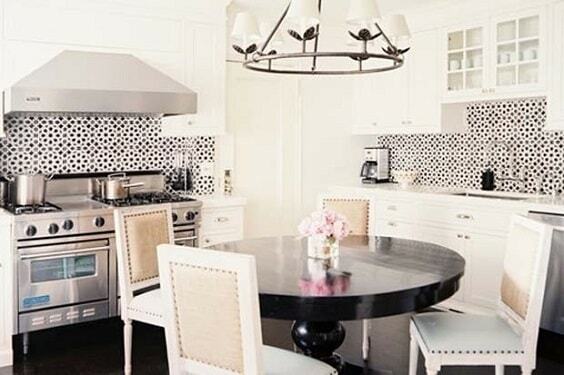 Another Moroccan kitchen with soothing nuance and it uses grey Moroccan tile to decorate a black and white decor. The kitchen is spotted at Sanderstead via Encaustic Tiles which looks vintage and modern at the same time. 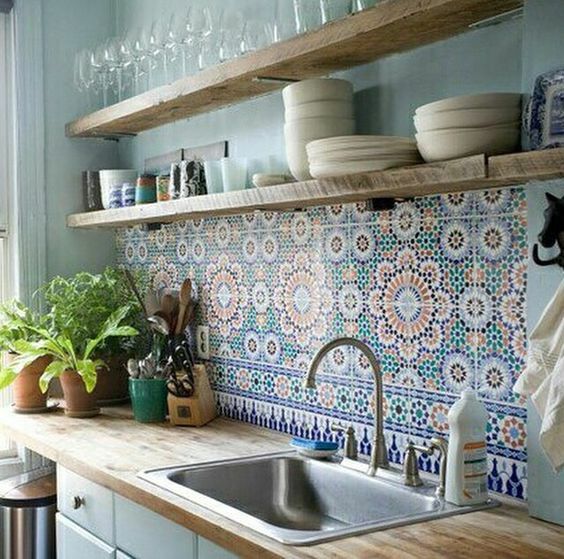 Floral tile, indoor plants, rustic wood countertop, and shelvings in this Moroccan kitchen creates a fresh atmosphere with their natural character. The color of the tile popped up beautifully among those natural stuff. 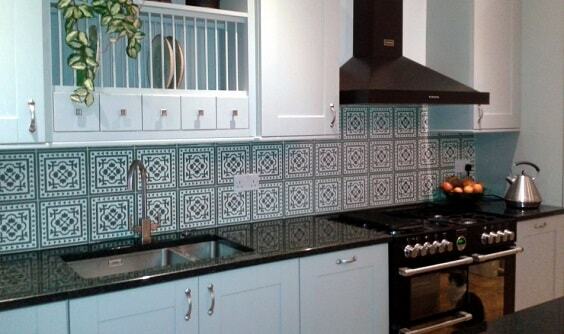 In this Moroccan kitchen, the festive tile is used to highlight the cooking area are with its kitchen vent hood. 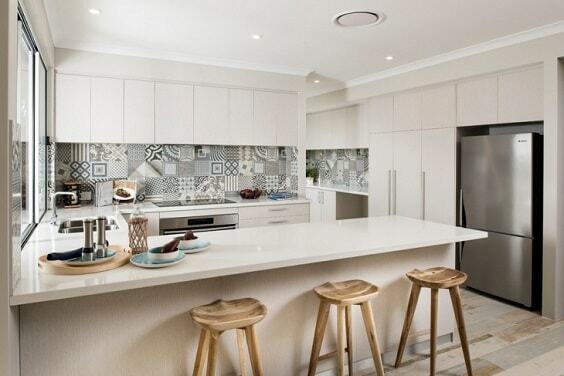 The tile looks outstandingly catchy among the white one and matches the cabinet perfectly. 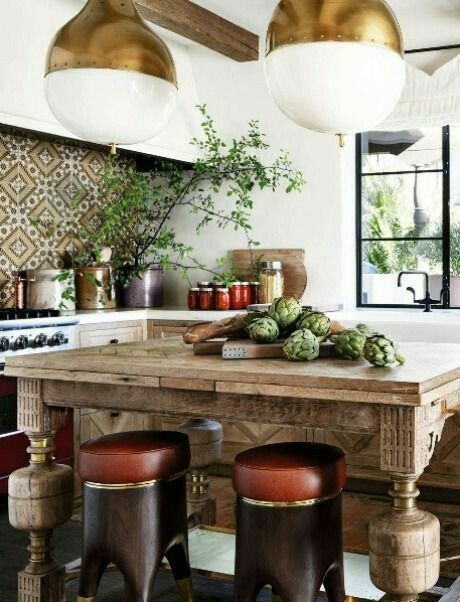 The geometric brow backsplash matches really well with the rustic elements of this Moroccan kitchen. 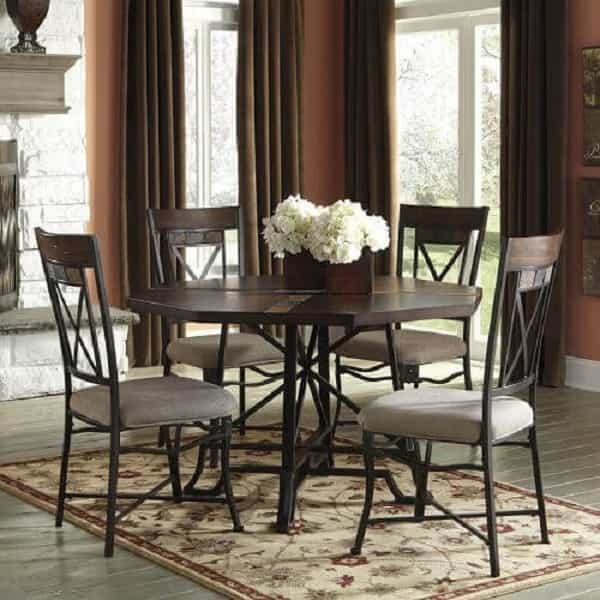 Then, the gold accent in lighting fixtures and furniture brings the style of the room to a whole new level. 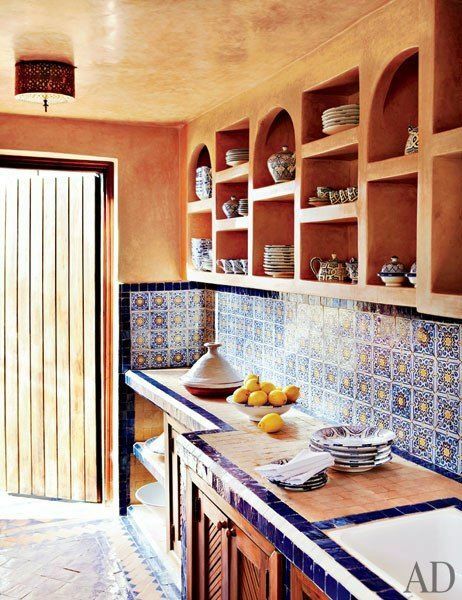 A beautiful Morrocan kitchen designed by Dorothea Elkon via Architectural Digest with the antique-style decoration. With the terracotta overall look, the kitchen feels so captivating. Green is always a nice color option to bring a fresh and comfortable vibe. 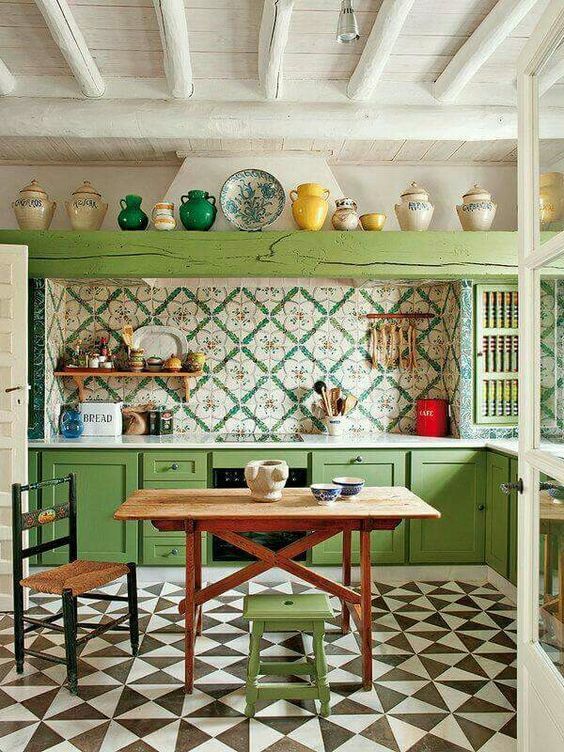 Here, the floral geometric tile in green and white complements the green kitchen cabinet and hanging shelf which creates an admirable natural nuance. 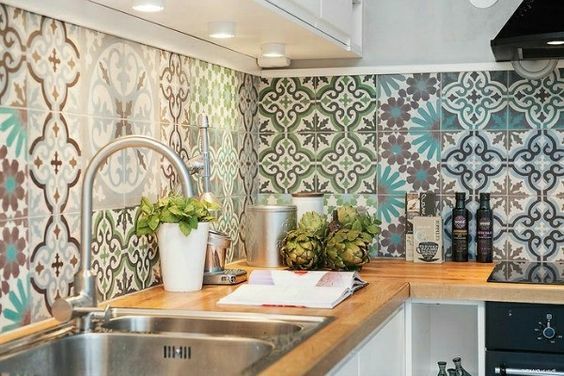 Basically, this one is a kitchen with black and white decoration, but then, the colorfully striking Morrocan tiles decorate one side of its walls. 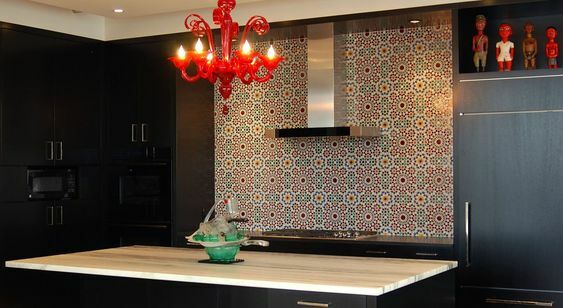 It’s definitely a good inspiration to add a unique Moroccan touch to a modern kitchen. 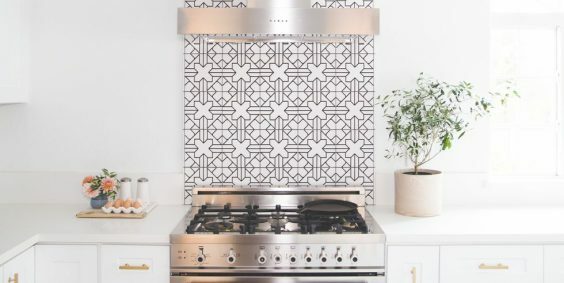 A catchy backsplash in the Morrocan-style pattern looks so stunning among those modern kitchen features. 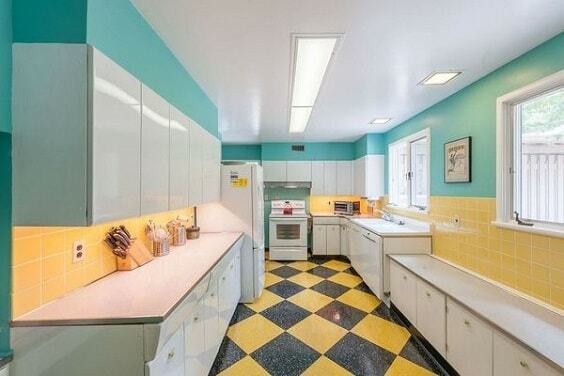 Then notice the chalkboard in the side of the kitchen which makes the decore become more attractive. 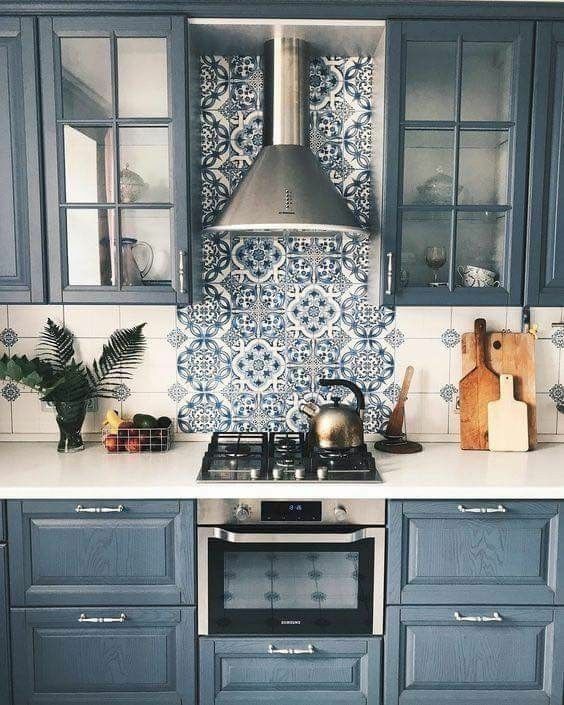 This mesmerizing Moroccan kitchen built by Jodie Cooper Design via Design Trends looks decorative and soothing at the same time. 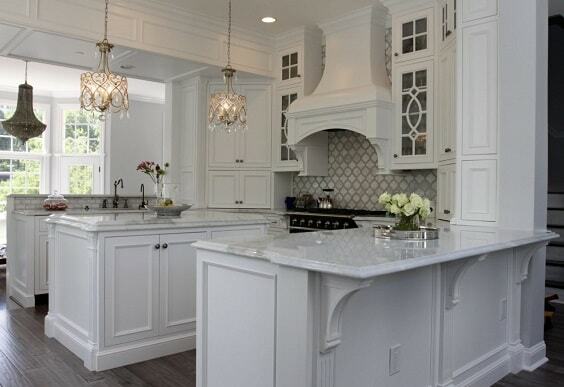 The soft-toned tile in the backsplash flows fabulously with the neutral nuance of the room. The beautiful backsplash made of Moroccan tile in shade of grey finish beautifies this dazzling kitchen with an all-white overall look. 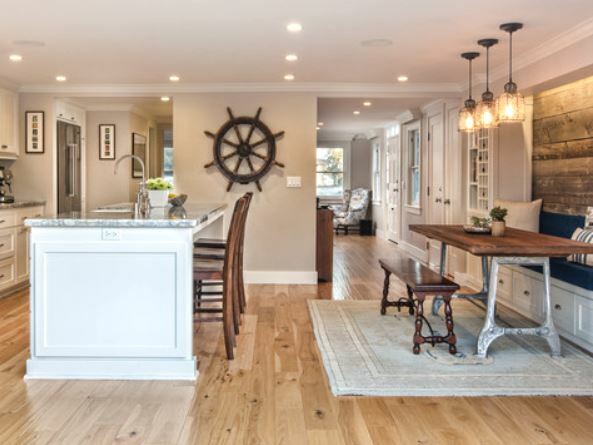 Its pattern matches stunningly with the chandeliers which glamorize the decor of the kitchen spotted in Virginia via Simpson Custom Design. A big wooden hood becomes the main focal point of this kitchen, and the floral tiling complements it beautifully. The color combination of the tile balances the overall color of the room cleverly. 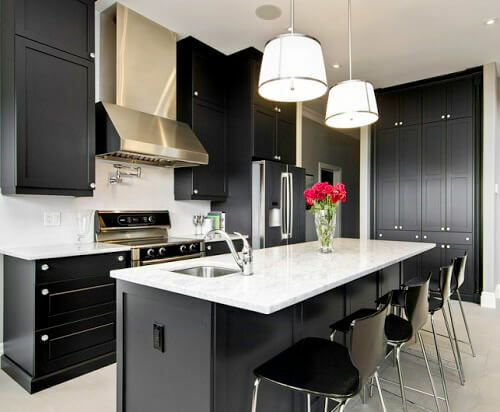 A simple geometric backsplash in black and white stylishly decorates a pure white kitchen. 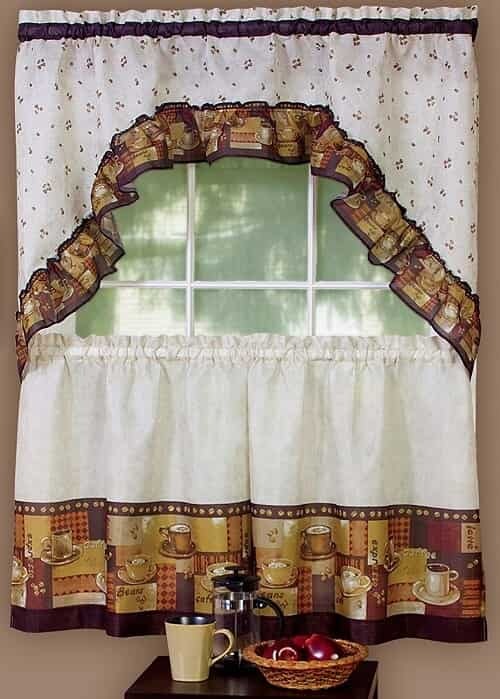 It adds a little bit of traditional touch in the modern cooking area. Here, white Moroccan tile is combined with the wood paneling wall which creates a farmhouse vibe around. It’s a nice inspiration to make a decorative all-white decor without adding any vibrant shade. Inspiring, right? 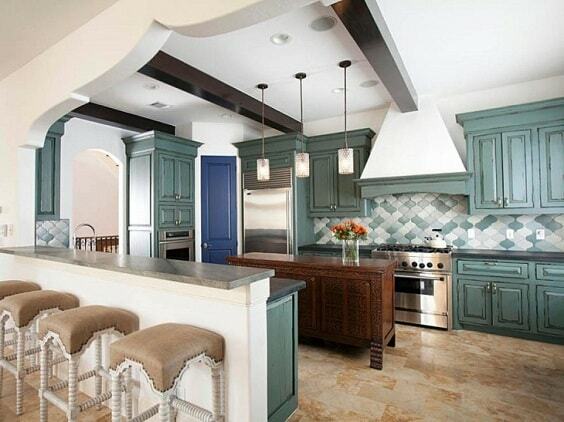 Well, those Moroccan kitchen ideas show you that it’s totally worth to pick the look to decorate your kitchen. 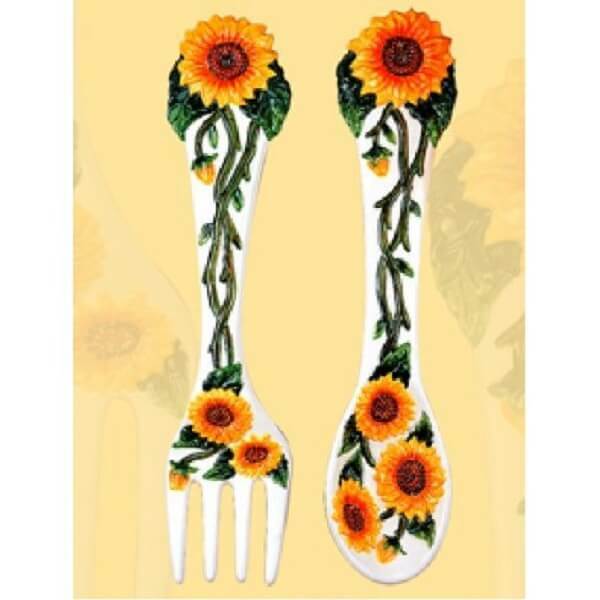 Your job is just to choose the one that suits your needs and taste then redecorate your very own kitchen now!